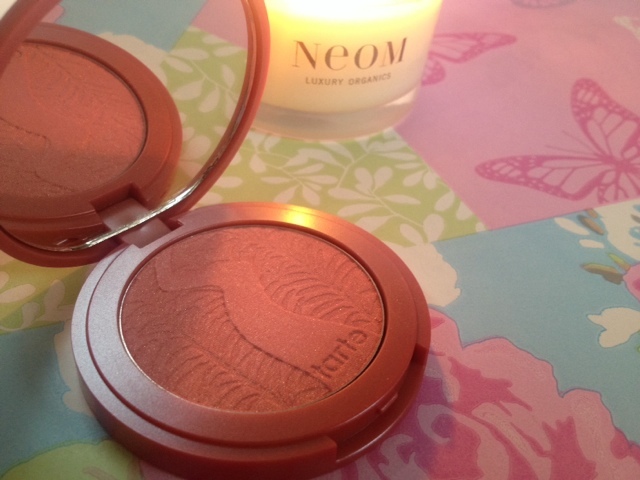 Lou Loves Beauty: Christmas,100th post and 1st birthday Giveaway to win a Tarte Amazonian Clay Blush! 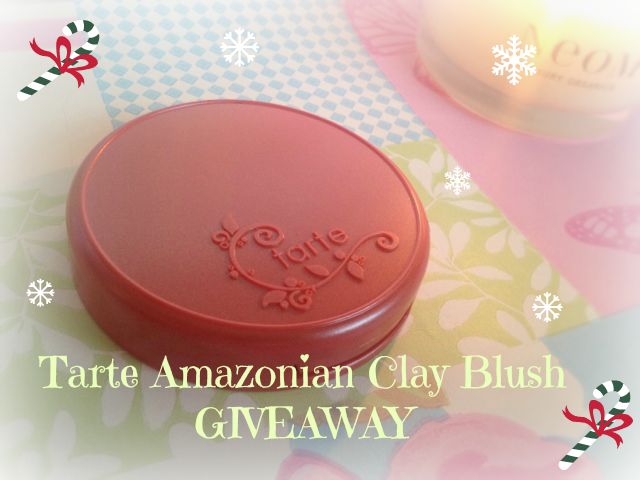 Christmas,100th post and 1st birthday Giveaway to win a Tarte Amazonian Clay Blush! My previous post was my 100th article on LouLovesBeauty and landmarks nearly 1 year of blogging. Its been a quick year and when I first started taping away at my keyboard I never thought I would still be doing it 12 months down the line. But here I am, and I'm loving it! I've meet loads of fantastic bloggers via twitter and facebook and developed my blogging and shopping skills along the way! I decided to do another giveaway to mark my 100th post, my 1st birthday and Christmas. 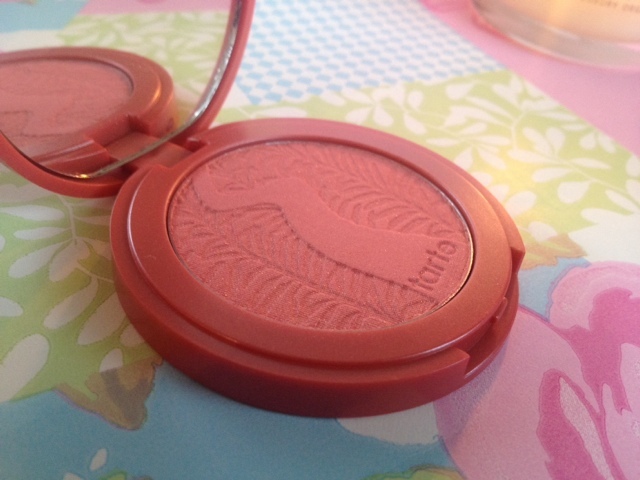 I'm giving one lucky winner the chance to win this Blush from Tarte. 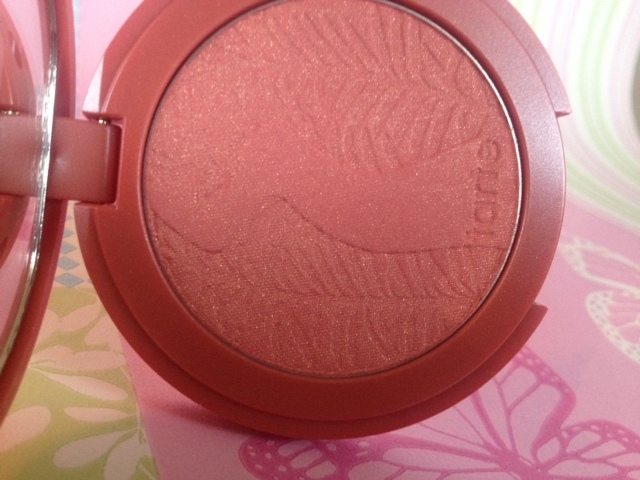 Tarte Amazonian clay blushers are not available to buy in the UK , so this is very special prize. 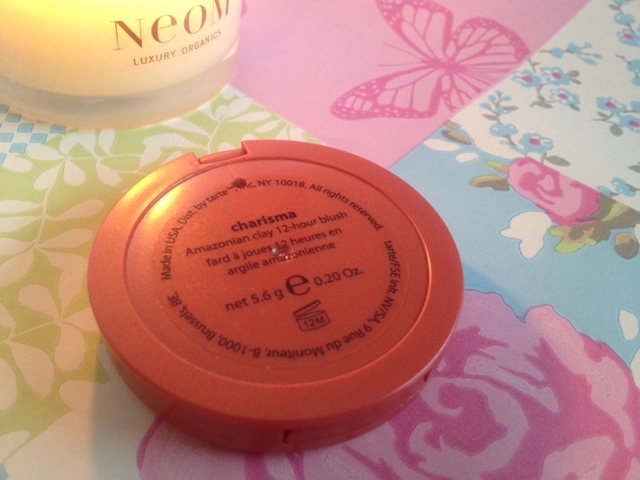 The colour I have is Charisma, a pinky coral shade with gold shimmer. All you have to do in fill in the Rafflecopter below. The giveaway will end Saturday 14th December, hopefully the prize should get to you before Christmas! This giveaway is UK only I'm afraid. NO GIVEAWAY BLOGS OR TWITTER ACCOUNTS please, I will check and your entry will be voided! If under 16 please seek parent or guardians permission as I will need your address if you win. Winner will be notified by Twitter and Email. Because of the tight Christmas posting deadline please respond within 48hours or another winner will be picked. On my Christmas list is the Urban Decay Naked 3 palette! Feeling retro so asking Santa for a lava lamp. Hi darling! Congrats on what you've achieved so far over the last year-fantastic!! A Neom candles would be lovely! ...I also wouldn't mind some new Real Techniques brushes! What about you, what do you want this year? The gold shimmer in blushes add such a nice, subtle touch adds a glow! I love it! On my Christmas list is the Clarisonic Mia 2, but would love to get a Stila or Lorac Pro Palette too if i'm lucky :) Great giveaway. What a lovely Giveaway :) For Christmas top on my wish list there is any make-up products from the new Dior collection (such a gorgeous winter collection). Top of my Christmas wishlist is the Urban Decay Naked 3 Palette and a big kiss from my other half!